The Bay Area has been many a homeowner’s dream for decades, but most people immediately think of San Francisco when it comes to finding their home on the bay. With the city’s booming tech industry, in-depth art scene, and vibrant culture, it’s easy to see why. However, San Fran isn’t the only great neighborhood on the bay. In recent years, more individuals have been flocking to neighboring Oakland. This up and coming area is giving SF a run for its money on every level, especially with homes like Fourth Street East. Here are five reasons why you should consider Oakland as your Bay Area home. Oakland is located right across the bay. That might seem like a long journey from bustling downtown, but the convenience of the BART transit system actually offers residents easier access to the city than those living uptown. The stations aren’t as congested, getting to them doesn’t involve weaving through crowded streets, and the trip comes with less stops along the way. In fact, BART is so readily accessible in Oakland that you don’t even have to drive to get to a station. Locals leave their vehicles parked at home and walk to their destination, taking the train to and from the city anytime they would like. 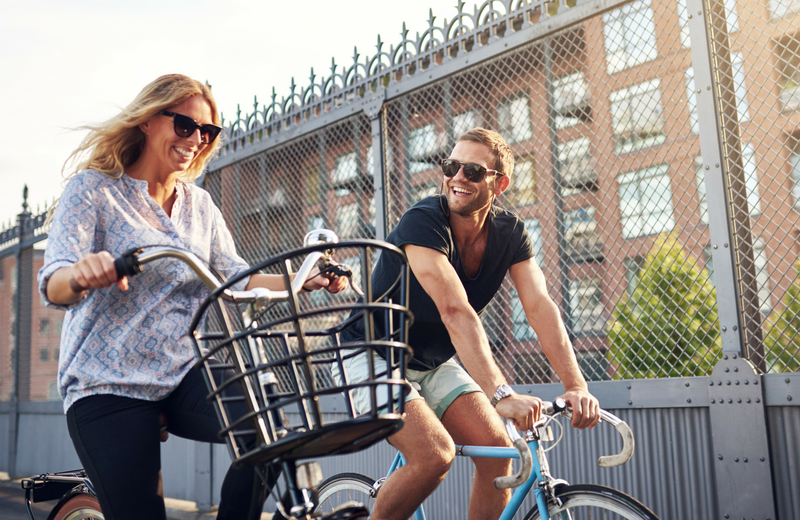 At the same time, residents are closer to the culture and entertainment of the Berkeley Area via the same transportation. Combine the ease of transportation with the Bay Area’s exceptional weather, and the advantage becomes clear. Better yet, Oakland isn’t susceptible to the same temperature dropping fogs of the city. What more could you ask for? Rent is insanely high in the city, which shouldn’t come as a surprise to anyone living in Cali. Even at those over the top prices, decent housing is hard to come by. San Francisco is the New York of the west in terms of housing. Oakland, on the other hand, remains surprisingly cost-efficient for a Bay Area neighborhood. The median rent price has remained a steady $1,500-2,000 lower throughout the past decade. The same price for a cramped studio in the city can leave you with ample space and zero roommates across the bay, which is welcomed news to many. Sure, San Francisco is well known as a bustling tech center filled with ample opportunity for employment and job growth. Did you know you can find the same in Oakland, though? Seven companies in the town even made Forbes’ list of the top 100 fastest growing business in America. Tech and media industries are following young talent across the bay, setting up permanent headquarters within the town. Pixar and Pandora are two of the top names, along with the 3D printing giant Fathom. The local community also places an emphasis on the importance of small business. Local products and services are heavily favored over corporate giants, giving entrepreneurs an incredible edge. The local nonprofit Oakland Grown provides ample support for small business through the Sustainable Business Alliance, which has helped everyone from brewers to grocery store owners. Whatever your industry, Oakland has a multitude of opportunities available for you. Oakland is every bit as diverse as San Francisco with multiple ethnicities coming together in one cosmopolitan city. This blending of peoples gives the area a rich cultural feel and the creative spirit that California is known for. You’ll find that combination gives way to ethnic eats, a multitude of festivals, and an art scene that rivals SF in every way. This spot on the bay features everything from high-end art galleries to laid back collectives and performance venues on nearly every street. Building walls are lined with talented graffiti works, and pop-up galleries happen throughout the year. Locals say they get their inspiration from the vibe of Oakland itself, created from a combination of the rich blend of individuals that reside here. Whether it’s a canvas painting or a culinary dish, creativity pumps through Oakland’s veins. That’s every bit as good, if not better than, San Francisco’s art scene. Both Oakland and the West Bay have taken serious initiatives to make the Bay Area even more eco-friendly than it has been in years prior. Their commitment has been called a green revolution, inspiring several other parts of California to do the same. Oakland’s efforts include empty lots turned into vegetable gardens that provide organic produce for residents, restructuring agriculture laws to make urban farming more accessible to the public, and several conservation efforts to protect the area’s water supply. City Slicker Farms, partnered with Sustainable Oakland, will even help you grow your own min-garden in your backyard. This push for greener living has also reduced the area’s energy consumption tenfold. These efforts are made possible thanks to Oakland’s location and geography, something San Francisco simply cannot share. If an eco-friendly lifestyle is important to you, then you’ll fit right into the scene of this Bay Area locale. It isn’t hard to see why Oakland is becoming the preferable Bay Area destination over San Francisco. Right in the heart of this vibrant area sits Fourth Street East, a luxury apartment community designed to match the spirit of the town. These modern homes come complete with upscale furnishings and access to a wide variety of carefully selected amenities that cater to a variety of lifestyles. Blocks away from BART, residents have instant access to a eco-friendlier commute to the city as well as the surrounding Bay Area. Each home is designed with green construction in mind, all without sparing any detail to offer you the finest in comfort between work and play. We invite to experience Oakland for all that is has to offer in these designer homes. Welcome to a new standard of living. Welcome to Fourth Street East.